Rockstar Games has released a new patch for GTA 5 that brings many changes to the multiplayer side of the game. They've also upped progression for GTA Online in preparation for a content update later in the week. Title Update 1.12 fixes several exploits in GTA Online used for griefing. Players can no longer turn themselves or their car invisible. They also can't use weapons in their garage or apartment to kill unsuspecting players. The patch also introduces a new Lester ability. Players can call Lester and ask him to exert some influence on his friends in the police department. The result is that players can commit crimes for a short period of time without consequence. That might be handy when GTA Online finally gets co-op heists. Progression in the game just got a bit easier. 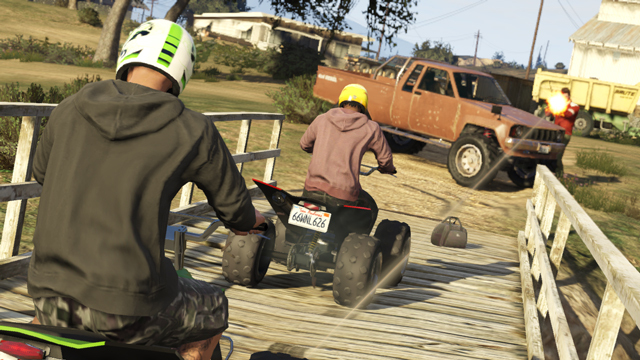 Parachute, Races, Deathmatches and LTS with less than 4 players will pay more cash. Players can get a bonus 50 RP for liking or disliking jobs - Rockstar's way of encouraging players to rate each other's Content Creator jobs. More importantly, though, Capture Mode jobs now award twice as much money and RP. 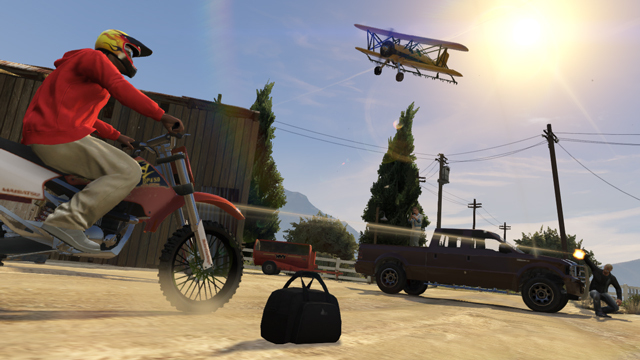 Capture Mode, added to GTA Online in December, is the game's Capture the Flag equivalent. Teams try to steal objects and vehicles from each other. Rockstar provided a couple new screenshots from choice Capture jobs today that you can see in the gallery below. The double progression period for this mode will last until Friday, when Rockstar will push out an update to the mission creator. "We'll be adding the ability for players to construct their own Capture Jobs with the GTA Online Creator tool," the developers said on the Rockstar Newswire. "This update will let players create Jobs across any of the four Capture Job variants (Contend, GTA, Hold and Raid) and publish them for all to play, rate and share via the Rockstar Games Social Club." This week's updates are just the start of Rockstar's Spring plans. Soon they will release the High Life Update, complete with new luxury vehicles and apartments for players to buy. High Life will also allow players to own multiple properties for the first time. Rockstar will also release co-op heists for the game this Spring. They haven't provided many details on this feature. The heists will probably look something like these videos, though. Title Update 1.12's full patch notes can be found at the Rockstar Support site.